When the curtain closed after a brilliant performance of 'Beauty and the Beast' before the Filipino audience, giggling kids started standing in line to buy some of the show's souvenir items at the lobby of Cultural Center of the Philippines (CCP). Some of the kids were humming the theme song of the show popularised by Canadian singer Celine Dion. One cutie even wore her "Elsa" attire (the blue dress from 'Frozen') to match the magic of the occasion. I could not help but remember those younger days when 'Beauty and the Beast' was just a fairy tale on screen to me. Although I have watched a franchise production of the show years ago, seeing the original Broadway production with American and European actors in it is truly a magical experience for a humble highlander like me. The show is on world tour, and Manila is their first destination in Asia. This is what I love about shows going on tour- it benefits us people who cannot fly to Broadway in the US or West End in London to see original productions. With the friendly team of Vanj Padilla's 1DigiTech, I sat comfortably to see the show: it starts with a scene revealing why the prince was turned into a beast, provides a rich theatrical entertainment following how a bookworm teaches the beast how to love and be loved, and ends with the beast transforming back into its original human form. My favorite part was the “Be My Guest” production, wherein kitchen utensils were singing and dancing. That was literally enchanting, and this is one of the main reasons why I want everyone in Manila to see the show. For me, that part is the climax of the show. Of course everyone knows about the plot. What we are after is the impressive technology-assisted performances with incredibly talented actors and dancers. And the music that will remind us about the sweet scent of love. I noticed that the cast that received the loudest applause was Dietlein, who plays Gaston. 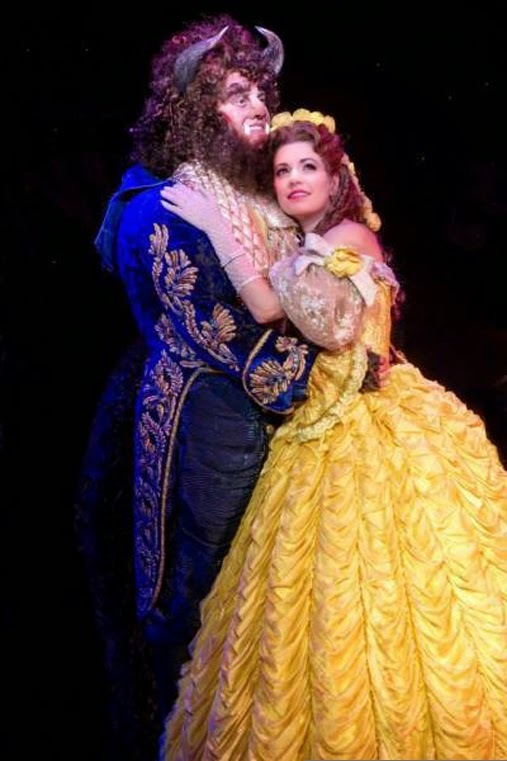 Let us not forget Maiberger (Belle); she has got a genuinely lovely voice (I wish to see her play Anna in 'King and I). I do salute Pead (Beast) for a job well-done because his role is a tough oneyet he was able to deliver what is expected of an international stage actor. He was both fascinating and comical in the show. Have your family watch the show before the production transfers to another country for the next tour destination. Get your kids wear their favorite Disney-theme attire, and when you go home please help them digest what they have learned from the Broadway show.